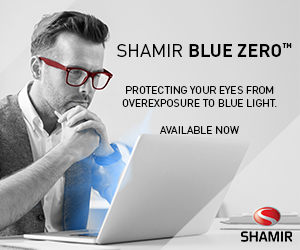 Exposure to blue light is a hot topic. Here we share what several ECPs have to say about harmful blue light, plus what they tell patients about it. Tip: Suggest to patients that they take a little time to explore settings on their digital devices. 14Just one week of increased exposure to blue light before bed cuts sleep time by an average of 14 minutes. FIGHTING AMD. Gary Morgan, O.D. is the author of “The Macular Degeneration Epidemic: Beyond UV Protection.” He says both blue-light filtering lenses and “a carotenoid supplement containing all three macular carotenoids” can help fight against age-related macular degeneration. ZZZZZZ. Make sure patients understand how fast bedtime exposure to blue light can affect their sleep patterns. A study in the Journal of Photochemistry and Photobiology found that just a week of increased exposure to blue light before bed cut sleep time by an average of 14 minutes. WYNKEN, BLYNKEN, AND…. Nicholas Feipel, O.D., who practices at Busby Eye Care in Westfield, IN, discusses blink rates with the AOA News. “Sometimes,” he says, “it’s a matter of consciously forcing yourself to fully open and close the eye—something patients are actually less likely to do when they are engrossed in digital work.” Your job? To remind them. WHY GEN Y. 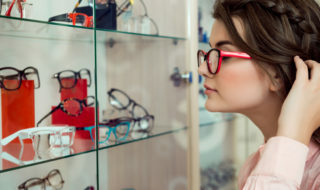 When Eyecare Business asked ECPs this spring, “How important is it to your millennial customers to purchase lens products that protect them against the harmful effects of blue light,” 64% answered important or very important. That’s good, but there’s also plenty of room for improvement. According to The Vision Council, “73.5% of Americans don’t know that eyewear can be used to protect the eyes from the short- and long-term effects of digital eye strain as well as blue light exposure.” That means we still have a ways to go in educating patients and consumers of all ages. What are you doing to spread the word and protect your patients’ vision? Tell us, and share in the Facebook conversation here.